Even the most loyal fans of Velaiilla Pattadhari (2014) admit that it’s an uneven film. Stuck somewhere between a star vehicle and a sensitive family drama, the film asks one to choose between two Dhanushs: the star and the actor. 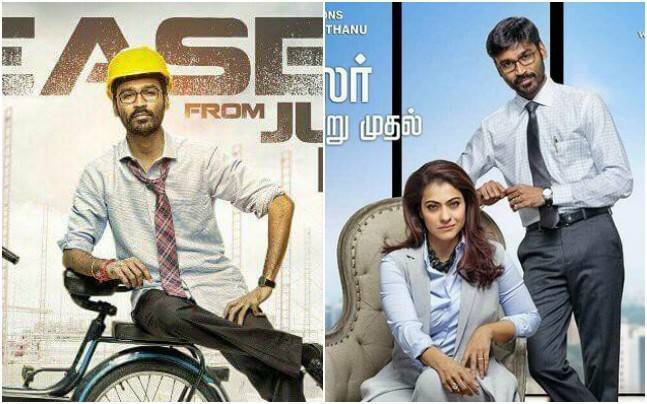 Given how ably Dhanush juggled both, this decision wasn’t too difficult to make, and VIP went on to become one of the biggest hits of the year. VIP 2 is set a few years after the first part. Dhanush is married to Amala Paul, whom he wooed in VIP and made us root for their romance. As husband and wife, their relationship is outright boring and that has been achieved by making Amala’s character look silly. She is made to look like an authoritative, nagging wife who controls Dhanush. It’s surprising that why even a female director — especially someone like Soundarya who is well-read, smart and is expected to write stronger, better roles — would portray a wife’s character in such poor taste. For one, Velaiilla Pattadhari 2 is never really an underdog story. The film opens with Raghuvaran winning the Engineer of the Year Award. He still works for Anitha Constructions (though, curiously, Ritu Verma replaces Surabhi) but he’s an executive now and has a parking spot reserved for him among Mercs and BMWs. VIP 2 is mostly a rehash of the first part but for a surprising twist in the tale. The ending might be debatable but it’s nice to see it take a different path. Dhanush, as usual, shines in a tailor-made role. There are some lovely nods to VIP signature moments such as Dhanush’s trademark flying kick. Scenes between Dhanush and Samuthirakani leave you grinning, but all these characters are mere extension of their own self from the first part. VIP 2 Box Office Collection: As per early estimates the movie is expected to do a business of Rs 5-6 crore on the first day. Watch this space for more updated on box office collection of VIP 2. Hello Dubaikkaran Box Office Collection Report.! !